As with many systems, the visual or obvious component does not describe the whole scenario. The image below helps describe the complexity of Oscillating Systems. 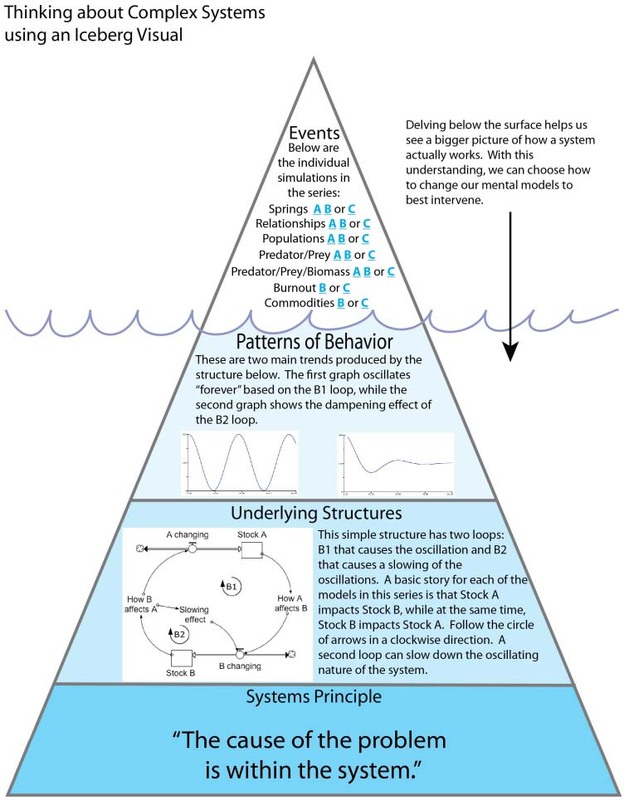 Please use this image to explore the various simulations and to understand how the underlying systems are presenting themselves in our daily experiences.